Autumn leaves are falling, which means pumpkin donuts and lattes are available at your favorite morning pit stop. 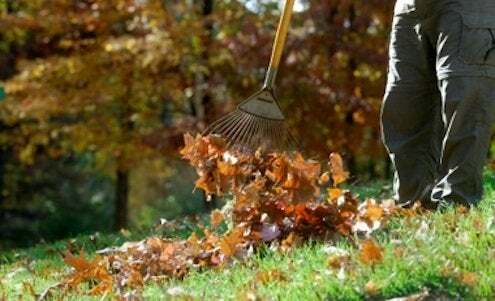 And if you own a home, it probably means your weekends now include that annual rite of yardwork passage: raking. I lived in NYC for the last 20 years, so it’s been a long time since I last picked up a rake. Standing in the garden tool section of our local big box hardware store to select one, I was a bit overwhelmed. There are a lot of different types of rakes—a lot. I surely don’t need, nor can I buy, them all. So which should I choose? A quick search through my favorite gardening resources provided answers. 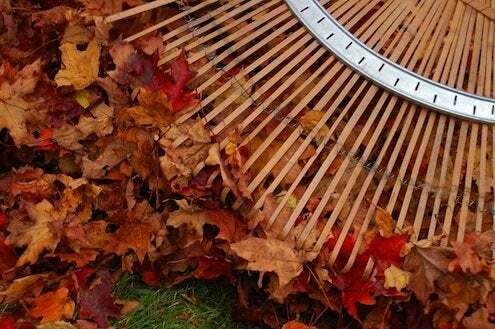 If you’re raking leaves, what you need is a leaf rake, also known as a lawn rake (view example on Amazon). Sold in varying widths (up to 30″), it has a long handle with tines that fan out in a triangle. 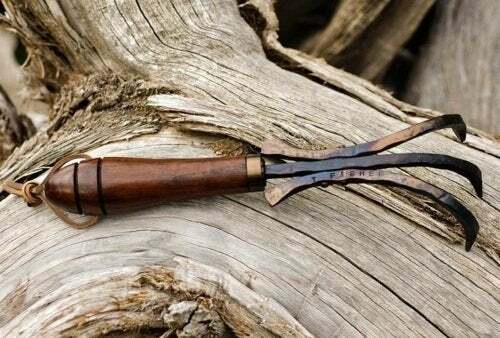 The tines are generally made of either metal, plastic, or bamboo. Metal is the most resilient, but perhaps not quite as effective as plastic tines when moving large quantities of leaves, especially if they’re wet. Bamboo tines are the most fragile, of course, but are much gentler on plants, if you are raking over groundcovers or garden beds. 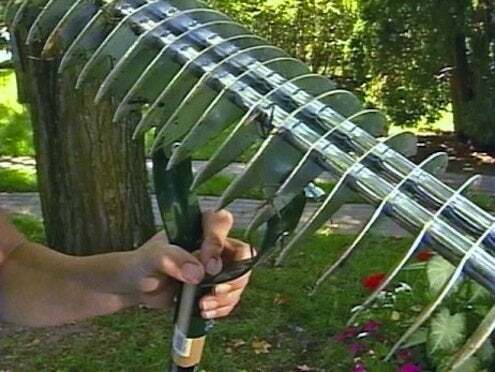 A shrub rake is built very much like a leaf rake. It has a smaller fan of tines, though, allowing it better access to the ground beneath shrubbery, around fencing, and in other tight areas of your landscape. Depending on your landscape and your needs, a shrub rake may be a worthy addition to your shed, especially considering that even top-quality tools of this type sell for under $20 (view example on Amazon). When purchasing, pay special attention to the length of the handle and note that some handles telescope in and out, a function that may be handy in some yards. 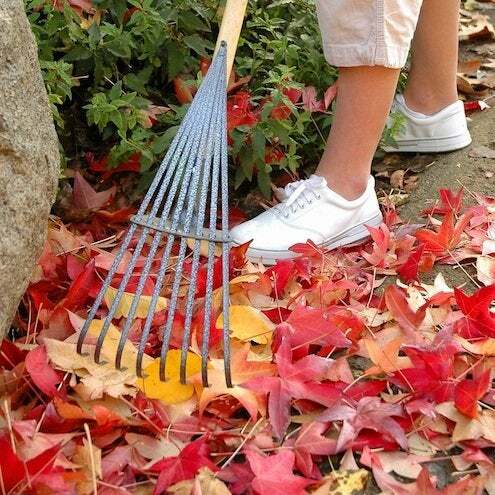 A bow rake (view example on Amazon) is generally considered homeowners’ best bet for leveling dirt, sand, and other materials that are heavier than leaves. The tines of a quality bow rake are made of metal and are shorter and thicker than those of a leaf rake (and spaced more widely). 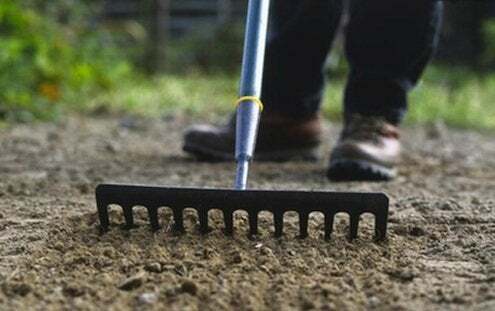 Basically, this type of rake is a workhorse—definitely something you want at your side if you have a gravel driveway, if your yard care routine includes seasonal mulching, or if you plan on doing any hardscaping projects yourself. A hand rake is a smaller version of a shrub rake or bow rake. It has a short handle and is more or less the same size as a garden trowel. A hand rake is what you want to use in and around flowers and smaller plantings. The short handle gives you greater control in those tight spaces; just be prepared to get down on your knees with it. Expect to pay around $10 even for a model that can last for many years (view example on Amazon). A thatch rake is not for raking leaves at all. It’s for removing thatch—a layer of organic material between your lawn and the soil surface. Unlike most other rake types, a thatch rake features sharp blades on both sides of its head. One side breaks the thatch up; the other side removes it. Armed with the right rake, I’m ready for fall. Of course, our newly planted trees may not produce enough leaves to require raking this year. Nevertheless, I’m prepared. And a city girl can dream, can’t she?